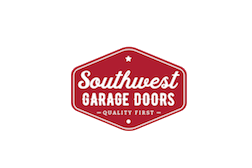 Below are some common garage door problems we see and fix all the time. If you're not sure whats going on, give us a call, email, or any social media message. We are here to help. Springs are the most common garage door part to break. Being a wear and tear item that breaks due to use. We offer 24/7 Emergency service for those inconvenient situations. Garage Door Safety Sensors are attached to the track or wall that transmit an invisible beam. If this beam is disrupted or the Sensors are not pointed in a close proximity to each other the door WILL NOT CLOSE. DO NOT TOUCH THE DOOR save that for a professional! It will only get worse and end up costing you more money. The answer is yes, there is a small dime sized battery in that remote you use to open and close your garage door every day. When the battery starts to die you might start having some signal response Issues. Call us right away! Do not let your husband or handyman go to Home Depot and attach random objects to the door to try to fix it. This may fix it for a short period of time and can actually make the problem worse. You don’t want to be that neighbor with the Noisy garage door that wakes up the whole neighborhood. If your door is typically that loud, something isn’t right....... Good news, this is an easy fix! Is your opener making loud noises, or just not opening? Don't let these signs go untouched. A lot of the time they can be fixed pretty easily by a trained professional. Does your door have some unsightly dents causing you to shake your head every time you pull up to your house. Click the link to see what can be done to fix them.